The SACES Day of Service provides conference participants an opportunity to participate in Advocacy in Action. Activism! Support SACES in an effort to raise awareness, educate, and participate in a social justice driven service project that supports a local nonprofit organization. Introduce a local nonprofit organization to SACES Conference Participants. Educate conference participants on the mission and vision of the local organization. Educate conference participants on the organization’s needs. Practice Advocacy in Action (Activism). Showing up and Showing Out!!! The Family Justice Center of Georgetown and Horry Counties is a unique collaboration of community partners and agencies working together to provide a safe and welcoming environment for victims of domestic violence, sexual assault, and child abuse. 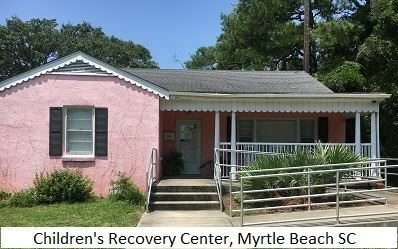 The Children’s Recovery Center of Georgetown and Horry Counties provides centralized resources for children and families in crisis. From the first interview and medical exam to testifying on their behalf in court, the center is here to advocate for the innocent. The child always comes first. Monday, August 13, 2018 , 8:00 a.m. - Friday, October 12, 2018 , 8:00 a.m.
Share the PayPal Giving Donation link and encourage friends, family, colleagues, etc. to contribute to the Family Justice Center. SACES will match donations up to $2,000. Assemble care packages for Family Justice Center clients. A portion of the donations will support the purchase of care package supplies in bulk where we are unable to obtain donations of supplies directly. Thursday, October 11, 2018, 7:00 a.m.-11:30 a.m.
Thursday, October 11, 2018, 1:00 p.m. - 5:00 p.m.
Providing continuing education training for addressing trauma in nonprofit organizational settings for staff of both organizations and their community partners. Complete the Day of Service Volunteer Sign-up Form to participate in part or all of the activities.